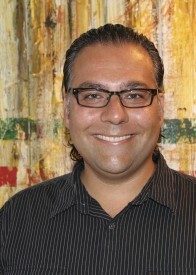 Daniyal Zuberi received his doctorate at Harvard University in Sociology and Social Policy in 2004. Previously, he was an Associate Professor of Sociology at the University of British Columbia, and William Lyon Mackenzie King Research Fellow at Harvard University (2011-2012). Daniyal’s first book Differences that Matter: Social Policy and the Working Poor in the United States and Canada (Cornell University Press, 2006), won several awards. He has been awarded several research grants from the Tri-Council, and is currently a CIHR New Investigator (2011-2016). His research interests include immigration, urban poverty, inequality, social policy, health care, education, social welfare, work & labour, and Canada-U.S. comparative research.